Can Attitude Really Make a Difference on the Field? It's Monday morning, Halloween, and I am as per usual a little slow after coaching three games yesterday accompanied by the two hours in the car to and from the games and 85 degree heat. I enjoy my Mondays after games because it allows me to reflect on what I saw and heard the day(s) before. I am still a student of the game and enjoy watching the games as much as I do coaching them. Yesterday I helped coach my travel organization's 12u team. I had been told by their head coach that they were an inconsistent bunch (like most 12 year old teams) that had beaten themselves repeatedly. To everyone's amazement the team I saw play was outstanding! They played stellar defense, hit the ball well, played with confidence and really seemed to be having fun. 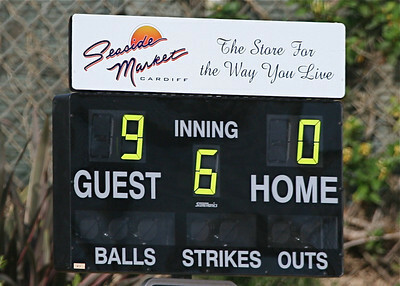 If not for a pitching meltdown in the last inning of our second game we'd have come away with three convincing victories for the day. In my book, How She Thinks is How She Plays, I write about how critical a player's attitude is her performance. If a player or team (or coach or parents) carries a "can do" attitude onto the field amazing things can happen. Conversely if a player or team is stuck on a "can't do" attitude the results will be predictably poor. Positive energy is contagious and it absolutely can shift momentum in a game or on a team from game to game as I saw yesterday. Now the head coach of the team I coached with yesterday does a great job with her girls and, no doubt, her patience has been tested with this team. However, perhaps the dynamic changed a bit with the old coach joining her and pumping a little different energy into the mix. Always glad to lend a little Winner's Edge karma to the cause! As I say all too often if the adults can frame the game as a perpetual learning opportunity the inevitable adversities the game of fastpitch softball throws at your athlete will be much easier to overcome. Remember...kids are naturally joyous. If parents and coaches can harness that natural enthusiasm and keep that attitude in "can do" mode there is no limit to how good your athlete and her team can be! If you are truly serious about your athlete becoming the very best she can be do yourself a favor and read my book. For less than the cost of a 30 minute hitting lesson you can give her the tools to become the consistent peak performer top coaches want on their team. Plus I have some really funny stories in there too! 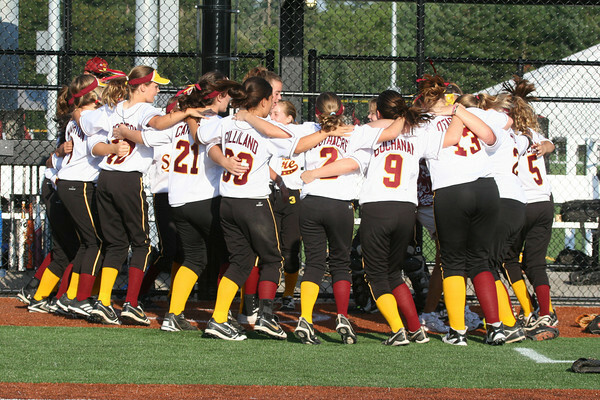 Please follow us on Facebook where I am posting a daily softball question your athlete should enjoy answering. Because girls softball is a team game wrapped around individual performances the team chemistry, culture and vibe can really be the tipping point factor on whether your athlete's team will be good or great. 1. The Coach(es): As the leader(s) of the team the coach(es) need to establish the team culture for the behavior and attitude of his/her players. If a coach shows favorites or allows certain players to get away with showing up late or dogging it the rest of the team will pick up on it and team chemistry will be weak because the coach has has created a two tiered culture within the team. Likewise if a coach does not offer adequate playing time to certain players this can create poor team chemistry. Now I'm not advocating equal play but rather getting all players in a game if the score and game situation allows for it. Coaches also need to be good communicators in order to establish and maintain good team chemistry. 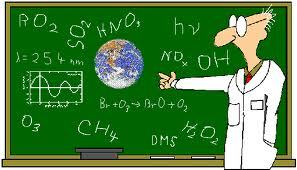 If a coach does not clearly communicate to each player her role on the team morale and chemistry will suffer. 2. The Players: If a team's chemistry and culture are not rock solid certain players on the team can be a cause of poor team chemistry. If the coach is not a strong leader that the players respect one or more players may assume a leadership role on the team. This can be a very positive thing or a very detrimental thing. If one player believes she is above the team concept and feels she is better than her teammates this may cause resentment among teammates. I have even seen players order other players around and berate them for poor play. This should always be the role of the coach and not the player. 3. The Parents: Team parents can play a huge role in supporting or undermining their athlete's team. Talking about other players or the coach in a derogatory way will absolutely undermine team chemistry on both sides of the fence. A single parent, like a single player, can be poison for an otherwise harmonious team. Make sure you are not one of those parents...please! 1. Positive team attitude and energy. 3. Team is never out of a game. 4. Looking forward to playing and practicing more. 5. Greater learning opportunity with coaches and team. 6. Few distractions allowing her to be the best she can be. 7. Likely a successful team on the field and fun off the field. I have coached on and parented around teams with both great team chemistry and a few with less than stellar team chemistry and the former is a whole lot more fun than the later for parents, players and coaches! It takes a conscious effort to be sure the proper attitude is set from day one on the team and a willingness to stick to it's priority. This may mean the a player (or coach) is not asked back in an effort to promote and maintain positive team chemistry. Remember, the good of the team must always come before the good of any player, coach or parent. The last time I checked there still is no "I" in the word team! Of all the games your athlete chose to play it had to be girl's softball, right? 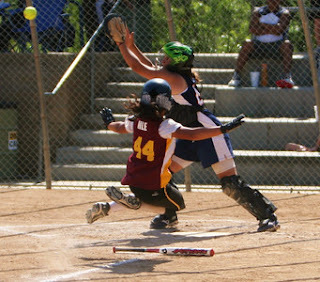 Now don't get me wrong...I'm sure other sports that girls play present their own unique challenges and difficulty in obtaining mastery, but...I'm sorry there is no game as difficult to play--that throws so much consistent adversity at a player--as softball. Even more so than it's baseball cousin because the 60 foot bases render the game quicker than baseball, causing every mistake to be magnified! 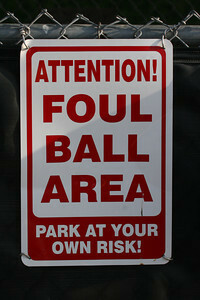 Abner Doubleday, or whoever really invented the game, must have had a wicked sense of humor! The game offers so many variables and unique one-on-one battles within the context of a team game, that it's a crazy hard game that will drive any player mad from time to time. 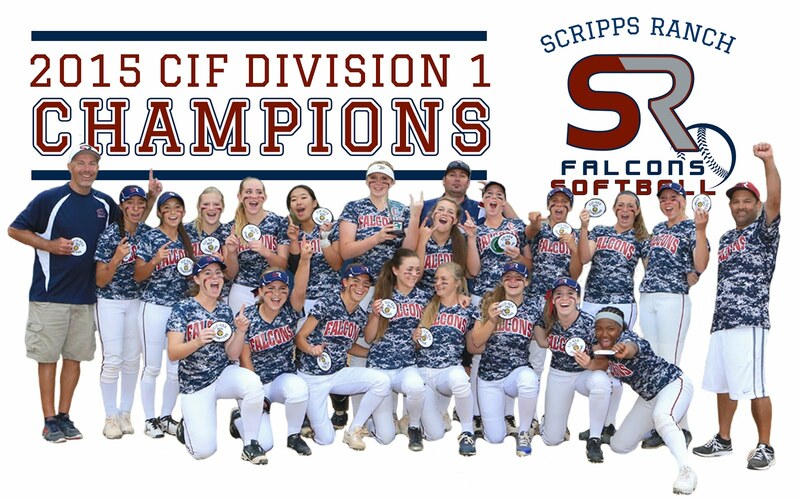 It is vitally important than your athlete recognize just how hard the game of girls softball is to play and master. No player...NONE has ever escaped without making an error or having a less than stellar at bat. So if she or you have expectations of her being the first softball player EVER to be perfect you might want to reconsider! Remember that although perfection may never be achievable, striving for perfection is. Yes girls softball is a darned hard game, but your athlete's consistent efforts in practice and games will make her a far better person. 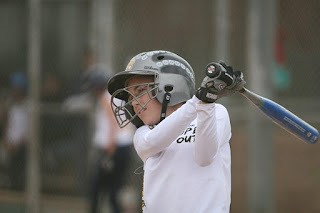 As an adult she will have to learn deal with the inevitable adversities that life throws at all of us, so playing girls softball is a perfect opportunity for her to learn how to overcome adversity on the field. 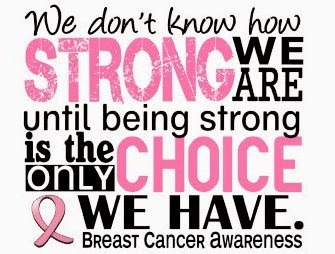 That which doesn't kill us makes us stronger, right? For your athlete to excel at such a difficult game as girls softball she needs to have reasonable expectations and look at all failure as a learning opportunity to get better. Because softball is, to me, the hardest game to master your athlete stands to benefit greatly from it. Yes the game will kick her in the stomach from time to time, but it will also teach her so many life lessons that the payback for her efforts can be enormous! So as a parent be glad the game of softball is so hard. Your athlete is truly in elite company by mastering a sport that 90% of the girls her age either already quit or could never muster the courage or talent to play! Coming in November...a FREE Tele-Class on Building a Rock Solid Self-Confident Softball Player. Check HERE for updates on the date, time and sign up process. To learn more about how Mental Skills Training can help your athlete to be the very best she can be visit us at Winner's Edge Softball. In girl's softball today we ask a lot of our young athletes. 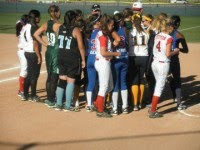 Here in southern California we play over 110 games each year over nearly eleven months. The girls are asked to go through grueling three hour practices, sometimes twice per week, and play three to seven games over the weekend. Keeping up with school work means doing homework in the car or between games; having a social life...forget about it! As your athlete becomes a teenager her motivations in her life can and likely will change. The little girl who would do any thing mommy or daddy asked her to do becomes a distant memory. 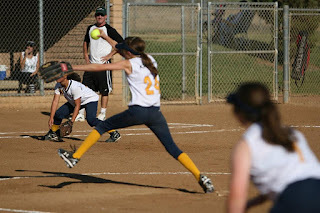 It is at this delicate time in your athlete's life that you need to accurately assess her softball motivation and do all you can to keep her motivation high. The one caveat is if she truly no longer loves the game enough to make the continual time and energy commitment to do what it takes to master the very difficult game of girls softball. Statistics suggest, undeniably, that high school athletes are better students and more trouble free than their non-athlete counterparts. Read my blog post on the Top 10 Life Lessons Sports Can Teach Your Athlete to remind yourself of why sports participation is important. So what things can you do as a parent to keep your athlete motivated to be the best girls softball player she can be? Have her write down clearly defined softball goals she wants to achieve. Write down a clearly defined game plan of action steps she can take to achieve her goals. Have her write down all the things she loves about the game of girls softball. Have her write down all the benefits (the payoffs) she receives playing the game (friendships, exercise, life lessons, chance to play in college, status in the community or on campus, etc.). Review all these written statements with your athlete to be sure you are both on the same page. A teenage girl does not possess the ability to make accurate perceptions sometimes and needs an adult to frame things properly for her. Distorted thinking can rob your athlete of her mental focus and motivation needed to be the best girls softball player she can be. Be sure you accurately assess your athlete's motivation and have a sincere conversation with her about it. If your expectations for her performance exceed her own there will be trouble ahead...guaranteed! Buy her a journal she can use to record her thoughts, feelings, perceptions, aspirations and goals along her softball journey and you will find her mental clarity and focus as to why she plays the game will be front and center. Read a FREE sample chapter in John Kelly's new book, How She Thinks is How She Plays. Check out the newly released Game Changer Program and listen to a FREE Audio Lesson! 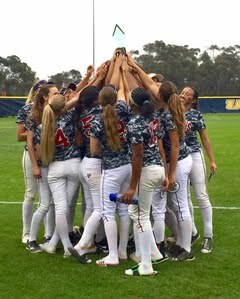 At Winner's Edge Softball we teach that how your athlete thinks will directly determine her level of success on the playing field. Therefore the critical question is what kinds of thoughts does she have? Does she focus her thoughts on seeing success or expecting failure? Scientists claim that we each have in excess of 50,000 thoughts each day bombarding our minds. As with your athlete the quality of those thoughts has enormous impact on the life any of us experience. Our thoughts have immense power to create the conditions that show up in our lives, so we all must choose our thoughts wisely. For a teenager, speaking as both a father and mental skills expert, it can be a hard sell to convince her that she has control over her thoughts, but in truth she does. If she does not control her thoughts, as I am prone to preach to my own daughter, then tell me who dies and I will have a talk with them! If your athlete's dominant thoughts are on failure as she steps into the batters box or on deck circle her likelihood for success is slim. You see the reality is that dominant "can't do" thoughts over the course of a day could amount to thousands of negative thoughts that reinforce her belief system that she cannot succeed. Now imagine the power of those repetitive thoughts over a period of days or weeks or worse. We're talking about potentially 100,000s of thoughts telling her subconscious mind and body that she cannot do it. This avalanche of negativity creates a virtual wall in her mind preventing her from success. And each subsequent failure or result less than desired will only reinforce her beliefs that she is not good enough or cannot complete a task successfully. Her future failure becomes a self-fulfilling prophesy. Get your athlete ready for the 2012 season...give her the gift that will change her game forever! Likewise if your athlete's dominant thoughts are on success she will likely have a much higher probability of achieving that success on the field. Why? The mind-body connection we all have dictates that the mind tells the body what to do. If the mind is positive and filled with the expectancy for success the body will perform optimally because the mind is in a relaxed state and focused in the present moment and on the task at hand. If your athlete is engaged in negative thinking her mind will be in turmoil, exhibiting high levels of anxiety and fear. This chemical reaction in the body brought on by perpetual negative "can't do" thinking will show up in the body as lack of focus (engaged in future or past focus: "Oh gosh, I struck out against this pitcher last game, I'll probably do it again. "), dry mouth, sweaty palms, excessive adrenalin, increased pulse rate, reduced reaction time, and reduced visual acuity. This expectancy for failure creates a dramatically devastating effect on the body and the performance results are predictably poor. The bottom line is what is your athlete thinking? Does she focus on success (through positive thinking and mental imagery) or does she focus on failure (through negative thinking and catastrophizing)? The choice is always hers, although she is likely unaware of it. As an adult you can help her to become more conscious of the power her thinking has to determine her athletic success. To learn more about the 21 Mental Performance Killers than can sabotage her success visit us at: Winner's Edge Softball. 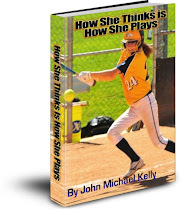 Read a free sample chapter from John Kelly's new book, How She Thinks is How She Plays. After the specific outfield and infield sessions we brought both teams together for some situational work. It was disappointing to see how many of the girls I personally worked with (and it was probably the same for the coaches who worked with the infielders) that did not implement the exact things we had just worked on for the previous hour. It is as if they weren't listening or simply would not trust themselves to make the necessary adjustments to get better. Look I'm the first one to recognize how hard the game of fastpitch softball is to master. However, your athlete will absolutely play to the level of her thinking. If she is incapable or unwilling to mentally focus on making her practices be as intense, beneficial and powerful as her games are she will never achieve her true softball potential. As a Mental Skills Coach and a student of the mental game in sports for 25 years I can safely say that lack of mental focus and playing in the present moment is the biggest saboteur of young athletes' success. Mental focus is not magic...it takes hard work, but her ability to control her mental focus and thoughts is 100% within her control. When she makes an error in the field, has a poor at bat, makes a base running error or grooves a fat pitch the overwhelming percent of the time the cause is simple to identify: her lack of mental focus. Now this can be due to myriad reasons (which I cover in my book), but the effect of these causes is the same: inconsistent play and more adversity and frustration than she needs to experience. The art of mental imagery or visualization is a mental skills tools that Olympic, professional and elite athletes have used for years to attain present moment focus and supreme confidence and poise. In my Game Changer Program I have recorded an excellent 22 minute Audio Lesson on the benefits and process of using mental imagery to achieve lasting athletic success. The bottom line is your athlete puts in hours and hours of time to become a better softball player. But all the physical training in the world may not be enough because how she thinks is how she plays! Top coaches at all levels are looking for those elite players who are consistent peak performers to add to their rosters, and becoming a consistent peak performer takes mastery of both the physical side and mental side of the game. Don't let the 21 Mental Performance Killers sabotage all the hard work your athlete puts into her game. Visit us at Winner's Edge Softball to learn more. Subscribe to our FREE weekly Softball Smarts Tips for fresh insights, strategies and tools to make her the best she can be. Be sure to follow us on Facebook and please "Like" us! We all want our darling daughters to succeed in everything they do in life, don't we? Athletics is certainly an area, as parents, we feel strongly about doing all we can to insure her success. 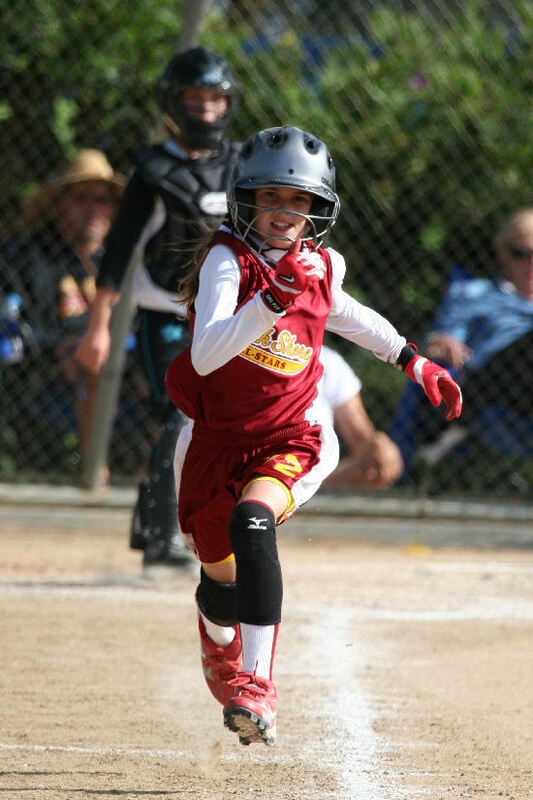 By participating in the game of fastpitch softball your daughter has chosen a tough game to master; a game fraught with peril, adversity and disappointment around every corner. As parents and coaches we spend countless hours and dollars on our daughters' mastery of the physical side of the sport. But, in my mind, physical training alone is simply not enough to make her a consistent peak performer. The inevitable failures that each player must overcome in fastpitch can snowball into more mistakes in an ever increasing downward performance spiral unless she possesses specific mental skills mastery. 1. Lack of Mental Focus or Present Moment Awareness- Unable to adequately concentrate at the pivotal moment of hitting, fielding, pitching or base running. Engaged in future or past focus. 2. Fear & Anxiety- Afraid of failure, embarrassment, disappointing parents, coach, teammates or self. Unable to control anxiety, adrenalin, focus causing a drop in performance. 3. Unmanageable Expectations- Burdened by excessive and unreasonable expectations on her performance by parents, coaches, teammates or self; accelerates anxiety, frustration and self-judgment. 4. Lack of Self-Confidence- Characterized by self-doubt, negative self talk, expectations of failure versus success. 5. Results versus Effort Thinking- Focusing on results only minimizes the value of her effort and minimizes learning opportunities. 6. Lack of Trust- Can cause hesitancy in making a decision on the field and always leads to failure. 7. Lack of clear Motivation and Commitment- A potential disconnect between player and parent; unwilling to do whatever it takes to get better. 8. Lack of a clear and concise Plan for pre-game, in-game and post-game- Having a mental and physical game plan improves self-confidence and performance. 9. Not Recognizing her Controllables- Which factors does she have control over in the game and which factors does she not? Knowing this will lower her anxiety and self-judgment. 10. Expecting Failure (Catastrophe Thinking)- The most detrimental type of thinking; truly expecting the worst case scenario every time. Can bleed into all areas of her life. All of these Top 10 Mental Performance Killers are covered at length in my new book, How She Thinks is How She Plays (read a sample chapter). It is vitally important that you recognize that there are specific reasons for your athlete's inconsistency on the playing field. It all starts with her thoughts, feelings and beliefs about herself and the game. If the game is 90% mental as some say how much focus does your athlete spend there? Subscribe to weekly Softball Smarts Tips for fresh mental skills insights, strategies and tools to help make her the best she can be. Follow us on Facebook and please "Like" us! First things first...I love to win and really don't enjoy losing. I wouldn't say that I "hate" to lose because as a coach I recognize that a certain amount of losing is inevitable. As a coach I also realize that losing is only a label we put on a specific result; which can belittle or dismiss the effort put forth. For young athletes playing well in defeat can be more empowering and instructive than playing poorly in victory. Winning as the primary litmus test for team or player success can serve to mask deficiencies that need to be worked on in order to further the journey of mastering a difficult game. This past weekend my 14u team played in a fairly competitive tournament in which we lost three very close games (3-2, 4-3 and 2-0); the last against an eventual championship game finalist in the 40 team tournament. Overall we played well and although we lost three of four games over the weekend we made progress in several areas. Losing the close games and being able to smile means as a player, a parent or coach that you are able to keep everything in perspective. Do close loses make for a more difficult night's rest...they certainly do for me. As a coach losing a close one always means second guessing what we did and didn't do in key moments of the game. But even for coaches close games can be an opportunity to learn and get better. If we all continue to celebrate their efforts as much as their results we can keep a smile on our faces, reflect on what each player and the team needs to improve on and get to work at the next practice to get better! Yes a close loss is still a loss, but it likely means your athlete and her team are closer than you think to coming out of the close games with a "w." Just keep working hard and smiling! Maybe it's time you consider private Mental Skills Coaching for your athlete to help to be the very best she can be? Contact John Kelly at: SoftballSmarts101@gmail.com. Read a chapter for FREE from John's new book, How She Thinks is How She Plays. Three seconds...that's all the time it takes to turn your athlete into a consistent peak performer. Really. However, before you think it's that easy to accomplish or you accuse me of being an idiot for even suggesting it read this post carefully. 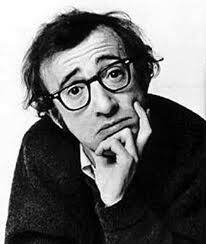 Actor Woody Allen is purported to have once said, "80% of success in life is just showing up." While I'm not entirely sure what he meant by that I am fairly confident he was referring to the commitment of showing up every day and working hard; that success is a journey, not a destination. 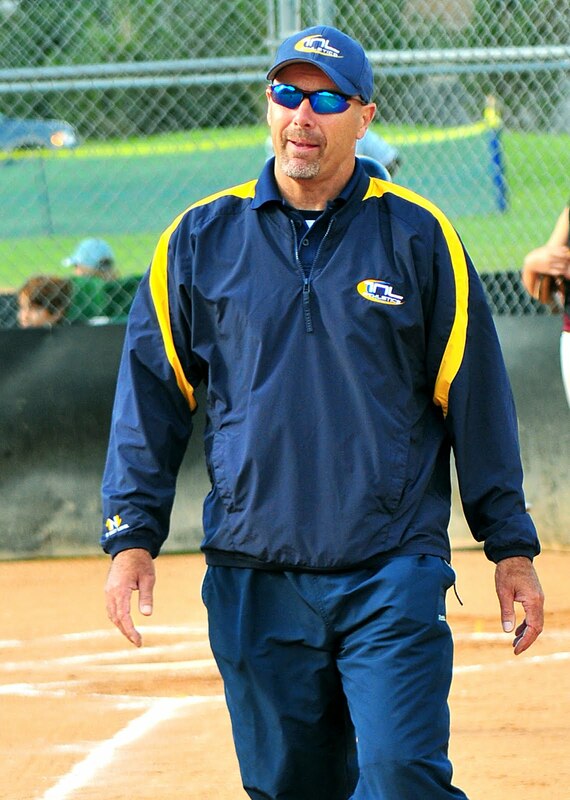 I'm going to steal Woody's quote and modify it for this blog post: "80% of success in softball is being able to focus for just three seconds at a time." 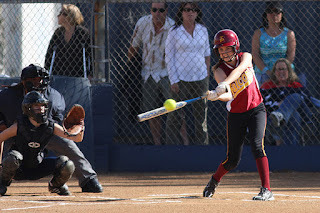 You see the game of fastpitch softball requires that your athlete be able to summon and concentrate her mental focus for three seconds just prior to each pitch in order to be successful. Although mental focus and anticipation are required at all times your athlete is in the field, in the circle, on the bases or in the box in reality it is those precious three seconds that make all the difference in your athlete's performance. The athlete that can best execute 100% present moment focus on the task at hand, repeatedly during the game, will become an elite athlete. Why is three the magic number? Let's face facts, kids today have a difficult time maintaining their attention for longer than a few seconds! More importantly three seconds gives your athlete adequate time, whether in the circle, the field, the bases or the box to prepare herself for the next pitch and play. However, during those critical three seconds your athlete MUST block out all distractions, all negative thoughts, all anxiety or day dreams and BRING IT! Her inability to do so will doom her to mediocrity. Here's the great news: every young athlete can focus for three seconds. As a coach that is what I ask and expect of my players. Before and after the play look around, relax, space out a bit if you like...but be ready to flip that three second laser focus switch back on. Now this is still not an easy task for players to succeed at. The game of fastpitch can be slow and monotonous at times, particularly during a long inning in the field. When I was patrolling centerfield in college those long innings would find me gazing up at the blue sky looking for the minutest of things to occupy my attention between pitches (I loved when a bird or flock of birds flew by!). But when the pitcher readied for the pitch I stepped into position on the balls of my feet and EXPECTED the ball would be hit to me every time. Three seconds is all it takes to become the best she can be, and it's such a simple thing to do. Mental focus is definitely within your athlete's control, however it must be cultivated. Long, hot days with multiple games can cause the "three second rule" to be much harder to employ, but that is where your athlete's mental skills mastery comes in. Either she will or will not be able to engage in laser focus for three seconds each pitch/play. Believe me...the college scouts will be watching! 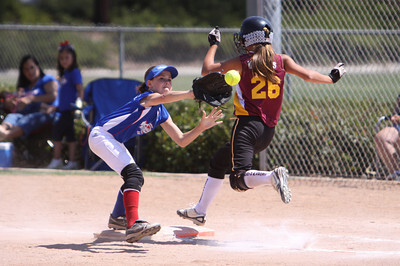 I hope you will encourage your athlete to begin using the "three second rule" in her games this weekend. Again her ability to execute this plan 100% may take time, but once she starts telling herself "three second rule" enough times her mind will comply and she will be well on her way to becoming a consistent peak performer! Visit us at Winner's Edge Softball for plenty of free mental skills resources, including a sample chapter of John Kelly's new book, How She Thinks is How She Plays, to help your athlete become the very best she can be! In America we love to cheer a great athlete, actor or musician. In fact our country has become quite obsessed with these celebrities. But what we often don't recognize as we carry on our mostly mundane lives is the amount of time, dedication and effort these individuals have put in behind the public veil to mastering their craft. It's true that Rome wasn't build in a day and neither is greatness. There is a lot to be said for consistency. Great daily effort, inspired and driven by a solid plan of action, usually produces great results. Greatness is a journey not a destination and some days the journey is a tough one filled with pain, frustration and despair. I guarantee you that any top athlete, actor or musician our society reveres has had many of these "investment" days along their path to fame and fortune. For your athlete the process is the same. The legendary NFL coach Vince Lombardi once said, "Being great is not a sometimes thing...it's an every day thing!" The seeds of greatness are planted every day and sprout in due time. 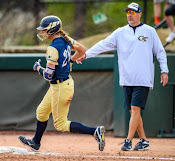 Your athlete needs to show up and give her all every time she steps on the field without regard to how great she plays on any given Saturday or Sunday. The results of her efforts will arrive on cue. As an adult you need to remind your athlete just how far she has come in playing the game over the years. I marvel watching the young ladies play at the high school and 16u travel level that I first coached when they were 6 and 7 years old little girls. To an outsider like me their hard work has definitely paid off. But through the eyes of a child (or teen) progress can never happen swift enough! Greatness isn't built overnight. It requires years of patient and persistent training, both physical and mental in order to attain any level of mastery. Watching that quarterback throw the flawless 40 yard crossing route pass or the actress mesmerize you with her stunning theatrical performance are products of years of blood, sweat and tears...a continual commitment to the process of mastery. So on those days when your athlete is frustrated with her performance and wonders if she'll ever "get there" remind her how far she has already come on her journey and that anything worth having is worth the time and effort it takes to achieve it! Please visit our new Facebook page and "Like" us! For more great mental skills resources visit us at Winner's Edge Softball. Subscribe to my weekly Softball Smarts Tips: fresh insights, strategies and tools to make her the best she can be. The concept of competition has been around for a very long time. In fact early man had to compete against the elements, other species and each other just to survive. I believe the desire and need to compete is found within our DNA and rather than try to suppress it, as some in our 21st Century society would do, I believe we should be encouraging it! Our kids learn so much from participating in youth sports, not the least of which is competition. When my daughter started playing youth soccer at five years old her mom and I really didn't know how she would react to being in a competitive environment. She was a fairly quiet kid who did not exhibit any aggressive tendencies. Of course soccer is a fantastic first sport for any youngster as they naturally love to run around and chase a ball. In my daughter's case she displayed an aggressiveness and a drive I had never seen before. Something inside of her clicked and the competitive switch was turned on. She would race down the field and seemingly score at will. What motivated her effort and her success? I believe deep down inside her she loved how she felt when she played hard and competed the best she could. And, yes, scoring goals was definitely a positive reinforcement and reward for her effort. Your athlete should embrace the art of competition without focusing on the results. 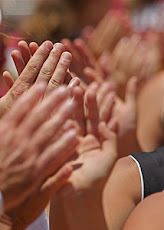 At the end of any sporting event we applaud both teams for their effort regardless of the score. It's the mere act of competing which makes us stronger physically and emotionally. Your athlete will learn so much about him or her self by simply stepping into the athletic arena and giving it his or her all. The results are just the icing on the cake. To the many parents who withhold their kids from athletic competition I believe they are doing a tremendous disservice to their children. Again, I believe it is our nature to compete and the desire to compete is a survival mechanism. To rob a child of that makes no sense to me. Competition teaches your athlete to persevere through adversity, to play with pain and discomfort, to push him or herself beyond old limits, to become mentally tough, to respect the opponent, and to appreciate the accomplishments that hard work and preparation brings. Do these sound like good life lessons for your athlete to learn? The value of competition is immeasurable and one I hope you encourage your athlete to embrace 100%. 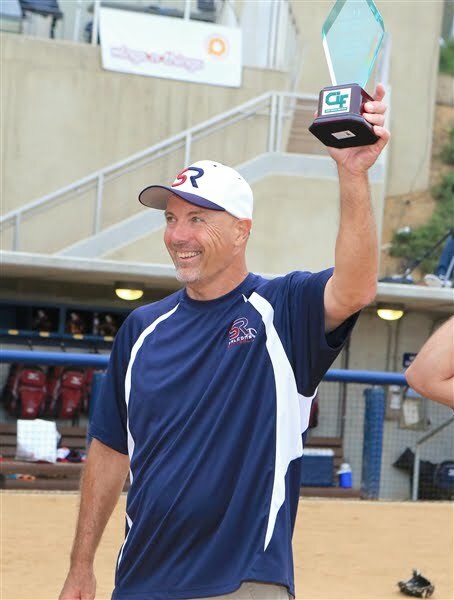 To learn more about how to build a consistent peak performer top coaches put at the top of their list visit us at Winner's Edge Softball. John's new book, How She Thinks is How She Plays, is now available! Read a sample chapter. Subscribe to free weekly Softball Smarts Tips for fresh mental skills insights, strategies and tools to make her the best she can be. Check out our new Facebook home page and be sure to "Like Us." Resiliency is a trait that is essential for your athlete to have in order to be the very best she can be. The game of fastpitch softball will throw much adversity at her...it's unavoidable. In truth her level of success will not be dictated by what happens to her but rather how she responds to what happens to her. Her ability to bounce back from failure and adversity, to be resilient, is the key. But how does she learn to do that on a consistent basis? It's vitally important for you as the adult to help her to frame the game and her performance in a way that will encourage her to use her power of resiliency. In my team's games last Sunday one of my players was having a difficult time adjusting to a slower pitcher. My player kept lining the ball foul, like five times in a row. She could not wait long enough to hit the ball fair. I could see her frustration mount with each pitch. I was telling her to "stay back," but her body would not comply. In one at bat, after maybe eight or nine pitches she grounded out to 3B. All she could do was shake her head all the way back to the dugout. Before her next at bat I continued to work on her to mentally slow the game down, to experiment with her timing a bit, and mostly to have fun with it. On her next at bat she hit the first pitch way foul again. She looked at me and I just smiled back at her. She smiled at me and proceeded to line the next pitch right at 2B for another out. When she got to first base I smile and congratulated her on a great at bat. She made the difficult adjustment and waited long enough to hit the ball but a foot away from being a hit. If your athlete, like my player, is only concerned with the results (making an out), without realizing just what a great at bat she may have had (by making adjustments, making the pitcher throw 8-9 pitches, by laying down a perfect sacrifice bunt, hitting behind the runner to advance her, or hitting the ball right on the screws right at somebody) she may be inclined to see her results as having failed. Reaffirm that the game of fastpitch is a difficult one in which no one is perfect. Mistakes and poor at bats are going to happen; they happen to every player. On the days when the game gets her she needs to view it as a "learning" or "investment" day to help her get better. Inevitably all mistakes provide an opportunity for growth. Have her focus on her effort and not the outcome or results. In this way she can focus on those factors she has control over...her effort and her attitude. Practice non-judgment of her performance. If she feels that you are down on her game it will be much harder for her to bounce back. Be supportive and re-read points 1-3. Have a discussion with her about expectations. Expectations her parents, coaches and she has for her performance, and determine how realistic these expectations are. Again, no one is perfect, but if your athlete truly believes she has to be her resiliency to bounce back from adversity will be slow forming. Building a strong, resilient athlete requires a short memory, self-confidence and highly supportive parents and coaches. Like everything in sports resiliency will take time to cultivate on her journey to mastery. We all know that sports mimic life, don't they? Some days glory, most days not; some days smooth sailing and some days a grind. But what are the real, enduring life lessons your athlete gains from her participation in youth sports? 1. Teamwork - Teamwork requires cooperation and putting herself second behind the collective good and goals of the team. This includes supporting her teammates even when she's having a tough game herself. 2. Determination and Perseverance - In a game like fastpitch softball your athlete will need to learn to overcome adversity through sheer determination and perseverance some days. Never give up and never give in no matter what the score or what the count! 3. Patience - With perseverance comes patience; patience for her teammates and their attitudes and personalities, patience for her parents who too quickly judge her performance; patience for herself...recognizing that mastery of this game is a journey that some days requires taking one step back to go two steps forward tomorrow. 4. 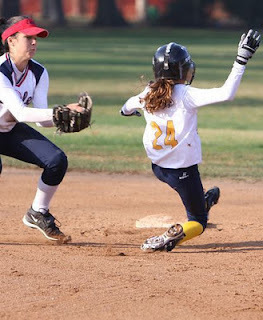 Hard Work - Fastpitch softball is a game that requires her to get dirty, to make the investment necessary week in and week out to become an elite player. It requires pain and sacrifice of getting up early and home late. To be the best she can be requires a phenomenal work ethic. 5. Accomplishment - Nothing is more fulfilling for your athlete than the feeling she gets after a job well done. Sports allows her to work hard and then see the results of her efforts. Priceless! 6. Self-Reliance and Personal Responsibility - In the big picture of life self-reliance means she will be able to motivate herself to get the job done, whatever it is. Getting to practice and games on time, completing practice drills effectively and taking responsibility for her equipment, etc. are all fabulous life lessons. 7. 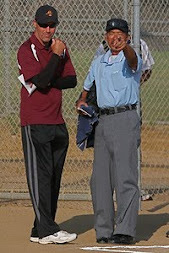 Taking Direction - Sports teaches your athlete to take direction from her coaches in both learning the proper way to play the game, but also picking up the signs during the games. Succeeding at this game also requires she be a good listener to as to minimize mental mistakes. 8. Concentration - Playing sports allows your athlete to cultivate her power of concentration, particularly in high stress situations. 9. Detachment - Detachment is necessary for your athlete to learn as an effective means of letting go of past mistakes and being able to focus on the task at hand with present moment awareness. 10. Goal Setting - Of course one of the greatest life lessons sports teaches your athlete is the importance of setting both personal and team goals to strive for. Perfection may never to achieved, but the striving to get there is the lesson that lasts a lifetime. The result of participating in youth sports is enhanced self-esteem and self-confidence; self-reliance; fitness and friendships plus a lifetime of great memories of good times and tough ones. As adults, for many of us, our youth sports experiences have shaped the people we are today. For most of us days turn into weeks and months speed into years. Where did the time go? The busy lifestyle of the 21st Century leaves us perpetually behind and often breathless! Most times we don't stop to smell the roses or acknowledge a job well done...particularly when we are the one's who did the job well! Trapped in future or past focus robs us of the power found in the present moment. We quickly move from one task to the next rather than stopping for the briefest of time to appreciate our efforts such. Acknowledging our successes can be the springboard to even more successes. The same challenge can befall young athletes just as profoundly. With a breakneck schedule many kids don't have the luxury of time to reflect on their achievements. As well whatever successes these athletes produce is considered but a stepping stone to even greater achievement. In other words, "Great job kid, what's your next trick?" Youngsters need to be able to feel good about their efforts in both the classroom and the athletic field in the wake of burdensome expectations. As adults we need to recognize and praise such great effort to help build a solid self-esteem and self-image in our kids. Young people today are asked to play at a much higher level than most of us were twenty or thirty years ago. 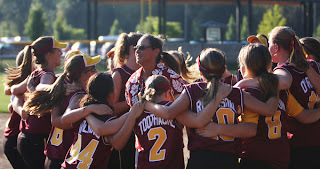 I personally marvel at how good the 14u softball players are that I coach, or the 18u players in our organization. These girls would have mercied my high school baseball team for sure! Let them have their day in the sun, a break from the monotony of their nano second world. After all, it's okay to celebrate a job well done...you should try it on yourself sometime soon! With a great sense of pride and relief I am happy to announce that my new book, How She Thinks is How She Plays, is now available as are my other new programs, The Game Changer and The Secret Weapon. Please check them out today and tell your softball friends about them as well. I truly believe this information will make a huge impact on your athlete's softball future! 1. Assess her motivation for playing the game. Does she like softball or love softball? Is she playing to get better or playing for social reasons or simply to have fun? What are her (and your) goals for playing the game: college, high school, travel, recreational only? How hard is she willing to work to get better? 2. 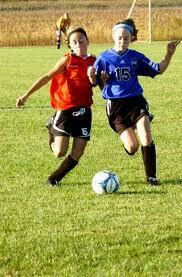 Assess as objectively as possible her softball and athletic skill levels. Does she possess mad skills or does she not? How does she compare to other players? What are her strengths and weaknesses as a player? 4. Attend several tryouts and do your homework on the strengths and weaknesses of any team or organization you're considering joining. Go watch some of their games to get a better idea of how the coaches coach, how they utilize their players, how competent their players are? Do they have fun playing? Giveyour athlete the gift that will change her game forever! 5. If your athlete is a specialist like a pitcher, catcher or slapper be mindful of how many other players that play that position are on that team. Will your athlete get the opportunity to play or will she "ride the pine?" 6. If your athlete is a position player assess what size roster a prospective team usually carries. A roster of 12 players versus 14 or 15 will likely mean more playing time for your athlete. 7. What is the culture of the team or organization? Is the team coached by parents with daughters on the team or is the team run by professional coaches without a child playing? Does the team or organization make a commitment to player development at the younger ages, and have a reputation for building strong players and teams? Does the team or organization stress winning at all costs? Do players on this team stick with the team or do they have massive turnover every season? 8. What is the team or organization's track record in having their players recruited by top colleges (if that is your goal)? Do they attend the right showcase tournaments to give your athlete the best exposure possible? Do they have contacts at the college level to help promote their players? Assessing all these different factors should help you to place your athlete on the right team that will be a good fit for everyone. Take your time and check out as many teams as you can before making a commitment. Remember, softball should be first and foremost a fun activity for your athlete and not a job...so choose her team wisely! To learn more about your athlete can conquer the 21 Mental Performance Killers that sabotage her success check out John's new Game Changer Program: A Mental Skills Blueprint for Making Her the Best She Can Be. 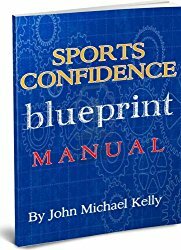 For more info and free Mental Skills resources visit us at John Michael Kelly Sports. 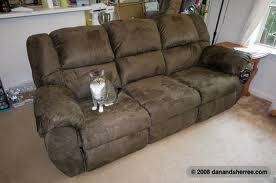 Do you have a favorite item of furniture in your house, one that is super comfortable? This is likely the place you go when you want to relax after a long day or on a lazy Sunday morning to read the newspaper, a good book or watch a little TV. I call it the comfort zone; a place most of us would rather spend more time in if we could. In truth comfort zones in life are a mixed blessing. Unfortunately for us to grow we need to push beyond those familiar comforts and be willing to risk being uncomfortable, making mistakes and occasionally falling flat on our faces. If we do not we can get trapped in our comfort zone to the point where our favorite chair becomes bumpy and tattered. For your athlete comfort zones can definitely limit her growth, be it making new friends, trying a new activity or new food, or taking a challenging class at school. Now I'm not suggesting that you or your athlete give up your favorite pair of old shoes, but in the game of fastpitch in the ultra competitive environment of youth sports in America today she will need to learn to be comfortable being uncomfortable. For most young athletes in the early years they play in their local recreational league with their friends and classmates. As they progress and get better many start playing at the All Star level, with a new coach, new teammates and some travel while playing against teams from different cities. The next step is travel ball where your athlete may not know anyone on the team, travel to far flung places every weekend to play multiple games, arising before dawn to hit the road. At this stage she may be asked to play different positions, bat in different spots in the lineup or maybe not be a starter at all. All in all the fairy tale comfort zone of her early years playing sports is but a memory. If she is not able to cope with all these changes in her softball world she will have difficulty playing well and having fun playing. For those parents who feel the need to team hop on an annual basis your athlete is thrown out of her new comfort zone before the paint dries! All in all playing youth sports today sometimes looks more like a job or tour in the military than it does having fun. But in an era of specialization your athlete must travel down this path of change to play for the best teams and best coaches, and to be seen by the right scouts by playing in the right showcases. In the big picture becoming comfortable with her discomfort is likely a good life lesson for your athlete to learn, however it would be far more enjoyable sometimes to just curl up on that comfy couch to watch Sponge Bob wouldn't it? 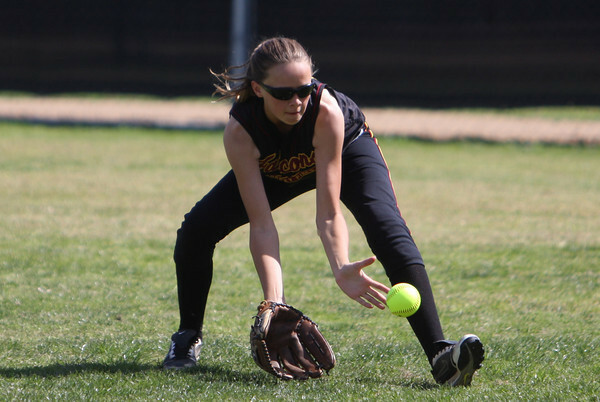 Learn more about how mental skills mastery will have the recruiters knocking down your door at Winner's Edge Softball. Get John's latest book, How She Thinks is How She Plays and must have Game Changer Program: A Mental Skills Blueprint to Make Her the Best She Can Be -- on sale October 5! A big part of being human is that we are all unique individuals with unique thoughts and emotions 24/7. Because we are not robots we are all prone to having off days, days when we just don't bring our "A" game to work, to school or to the ball field. My 14u travel team played our first games of the fall season this past weekend and our hitters were predictably rusty after a two month layoff from seeing live "game" pitching. As per usual many of them were frustrated with their results. However I considered those games to be spring training for the girls and, like early spring training at the Major League level, the pitchers had the advantage. As I talk about it length in my new book How She Thinks is How She Plays the secret to your athlete's success is her ability to bounce back from adversity, or results that fall short of her expectations. In a game filled with so many variables that are outside of any player's control fastpitch softball will get your athlete some days. On those days when she's not bringing her "A" game, for whatever reason, it's vitally important that she be able to frame it as such: "The game got me today, but tomorrow I'll get the game." These kinds of days can be considered investment days as they provide for greater learning opportunities. I made a point to remind my players of that last Saturday, to recognize that they had not seen game pitching in a while and to be patient with themselves as they got they swings back to normal over the next few weeks. I think it took a little of the pressure off them and I even saw a few smiles. The worst thing possible on the days your athlete does not bring her "A" game is for her to get down on herself and judge herself as being a poor hitter or poor player. Certainly she should always be learning as to what to work on to get better, but to judge herself on a snapshot of her overall performance is both unhealthy and unfair. On the days we don't bring our "A" game we can be filled with frustration and disappointment, but that's just part of the human condition; we ALL have those kinds of days. Hopefully they are few and far between. Well the same is true for your athlete. There will be game days after she's getting over a cold, or after a tough week at school, after a poor night's sleep, or after a full moon...when she doesn't have the energy, focus or results you both would like. However, allow her to be human too and just chalk it up as one of those days when she just didn't bring her "A" game. Tomorrow will be a new day when all things are possible! After several technical roadblocks John's book How She Thinks is How She Plays and The Game Changer Program should both be available for purchase by tomorrow, October 4. Check out this blog in a new format launched by Blogger...it's very cool! Just roll your cursor over the word "Magazine" on the far left side of the black bar and a drop down menu will give you seven options of how you can view my blog.